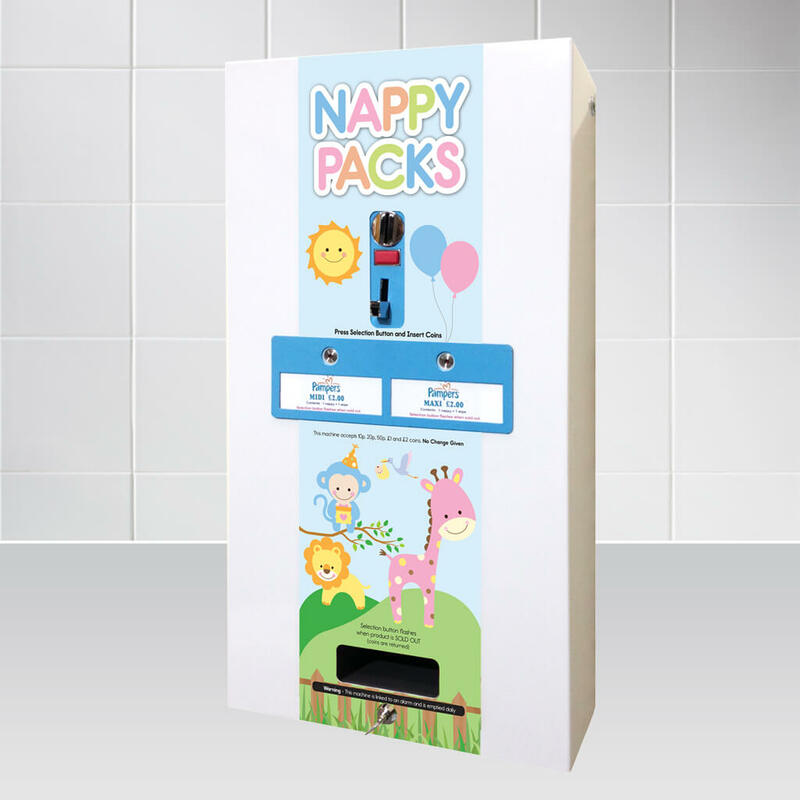 Our E-Mini Nappy Vending Machine offers the perfect hygiene solution for baby changing facilities. 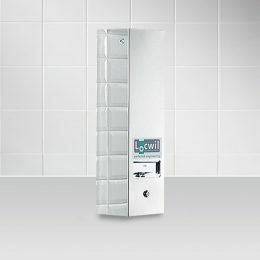 Its sleek but spacious design allows for maximum capacity and the eye-catching graphics make it a bright and fun addition to a room. 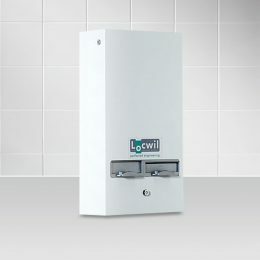 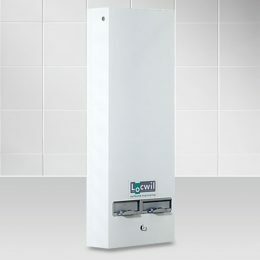 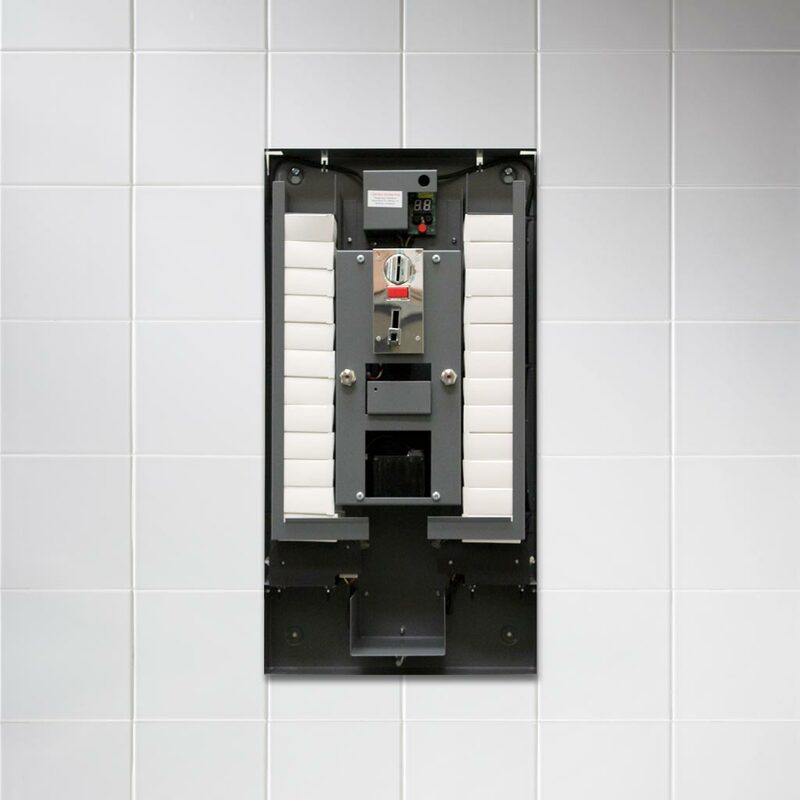 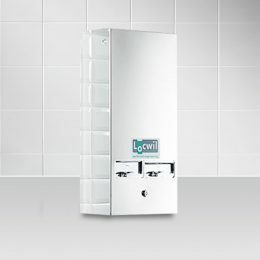 The E-Mini Nappy is a sister product to our standard E-Mini electronic multi-vend vending machine used for dispensing other washroom products such as tampons and sanitary towels.